I have enjoyed the other books I've read from this author and heard great things about Better off Friends, so I was really looking forward to reading it. I'm glad I did. It was another winner from this author. There were so many inside jokes and meaningful memories between these two MC's because of their long-lasting friendship. I could definitely see how their boyfriends/girlfriends could have issues with the friendship because many times it took precedence over them. I also could see how emotionally involved they both were and how easily it would be to mess things up. I had to agree with Levi when he reacts to Macallan when she does something and doesn't even think about how he's a guy. Lol! If you've read this, you know exactly what I mean. I really liked the smooth and light writing style, the different characters, especially Macallan's friends and both of the MC's families, the humor, and the sweet moments. I also liked that there was some conflict, which drove the story even though the ending was predictable. 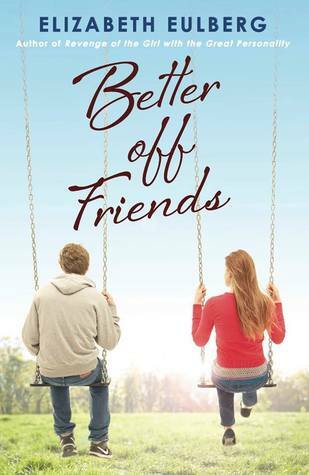 Better off Friends was a story of friendship, learning to take chances, to trust, laughter, and love. If you enjoy contemporary YA, especially if it's clean, then I think you'd like this one.